Open main compartment that holds up to a 15" laptop with flap clip closure. 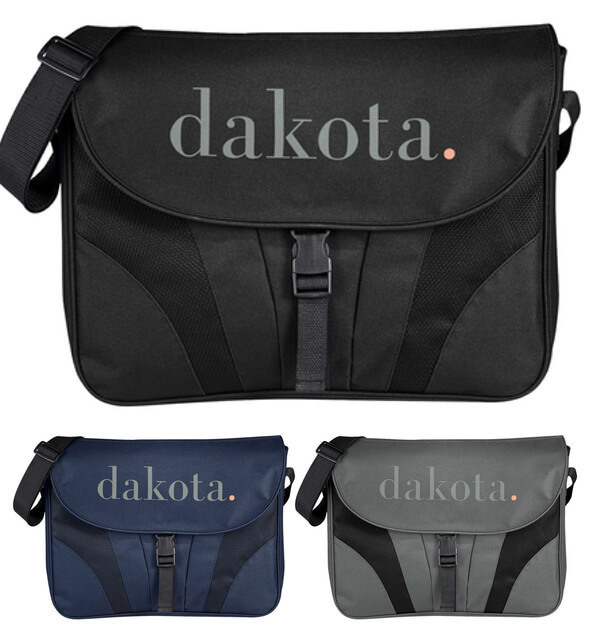 Front pocket with Velcro closure for additional storage. Detachable, adjustable shoulder strap.